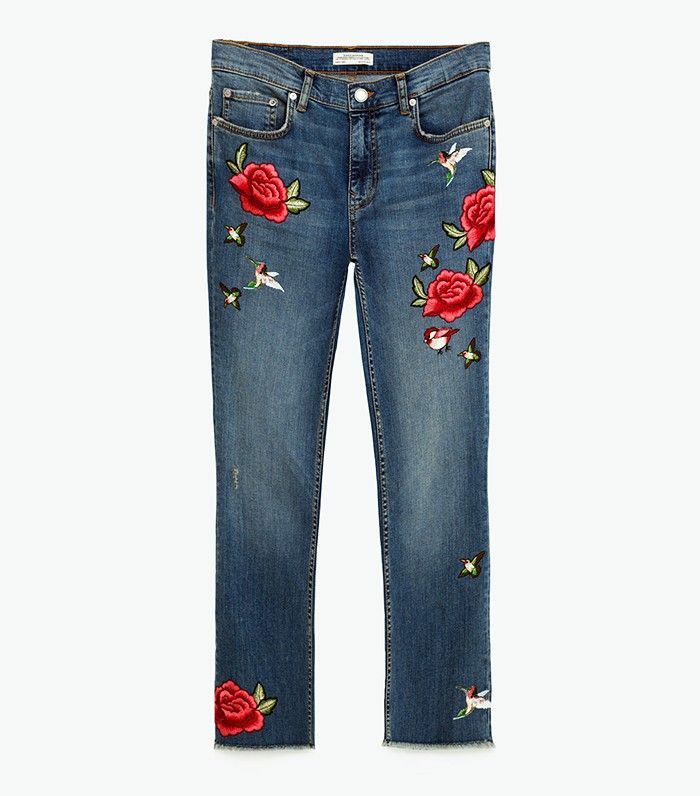 Looking for a lovely pair of embroidered jeans? We can't blame you. Since starting out on the denim scene a few seasons back, designers and fashion brands have been adding more and more adventurous versions to their seasonal line-ups. Well, who wouldn't love the combination of something utterly wearable with something so ridiculously pretty? Embroidered jeans have successfully moved from a bubbling micro-trend to a totally accepted part of the current jean-related lexicon: everyone's doing them, from Topshop to Gucci. So you can now call off the search. We've trawled through the stitched lot in order to bring you an edit of the best, whether you're a flares-only kind of girl or you're looking to inject a wild side into your skinnies collection. Keep reading to find the 13 pairs of embroidered jeans we deem the very best. You didn't think Zara wouldn't have a pair, did you? If you're looking for a high summer update, we found it. Okay, so these are quite cheeky. Such funky denim only needs a white T-shirt. Subtle stitch-work for girls who want to nod to the trend. We've not seen embroidered palm leaves on denim until now. The best version on the high street. Like sunshine, in a pair of jeans. They're new, but feel so 1970s. This ticks off the movement for mom jeans too. The French way to do denim embroidery. Will you invest in this denim trend? See which other designer jeans get our vote of confidence.